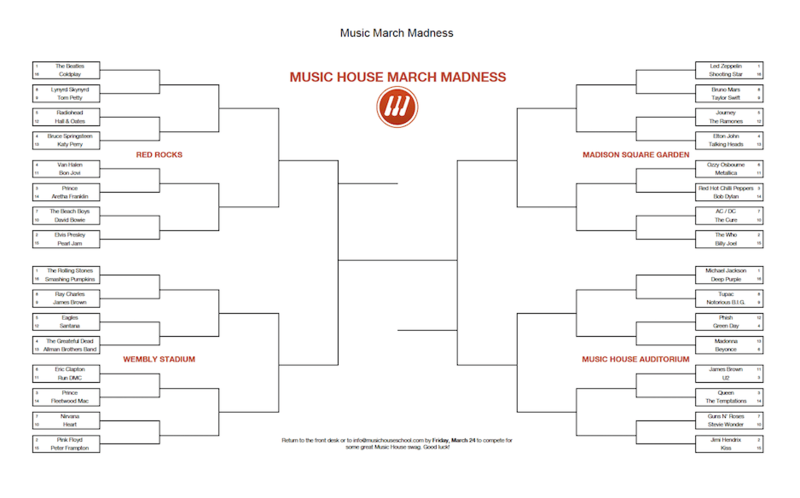 It’s bracket time at Music House! As many of you know, we’re currently in the midst of March Madness. Well, we’re taking this annual event and making it into our own. 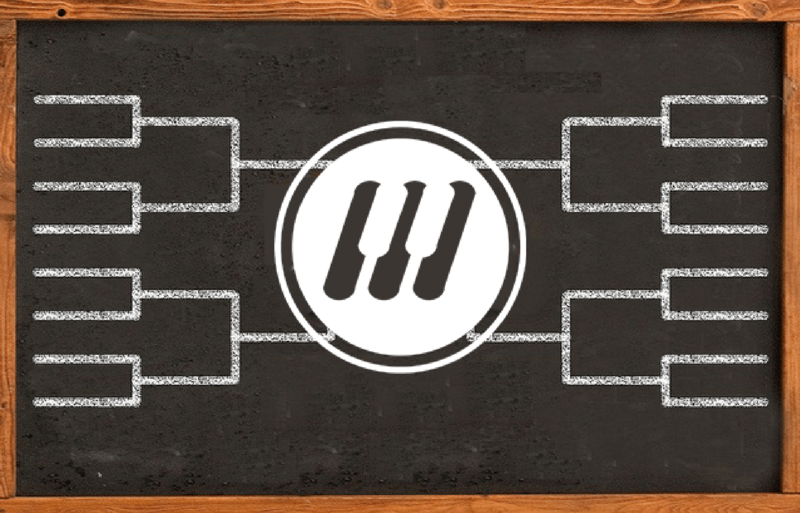 This March, we’ve created our very own Music House March Madness. 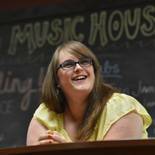 Music House teachers and staff will be voting for their favorite musician for each “round” starting Monday, March 27. You can submit your very own bracket by CLICKING HERE and selecting your winning guess for each musician pairing. The NCAA Basketball Tournament - more commonly known as March Madness - is a college basketball tournament that brings fans from all over to various host cities to celebrate the accomplishments of the best teams in the country. Kansas City has hosted the Final Four 9 times, and will do so again this year, more than any other host city, beating out New York City and Louisville. Often, teams end up playing with home court advantage. The Kansas Jayhawks have played in Kansas City four times: 1940, 1953, 1957, and 1988. When it began in 1939, only 8 teams participated and it remained this way until 1950, when the number doubled. Prior to 1979, only one team per conference would be allowed in the tournament. However, that ended up leaving out several highly ranked teams (including some that were undefeated). It was then that they began to place at-large teams in the tournament, instead of just conference champions. Between 1950 and 2011, the number of teams steadily increased until it reached the present format that we know today. Beginning in early March, people all across the country begin to fill out “brackets,” trying to guess who will win. Sometimes they are scientific and use the rankings given to teams by the NCAA, others by favorite mascot, alma mater, or superstition. 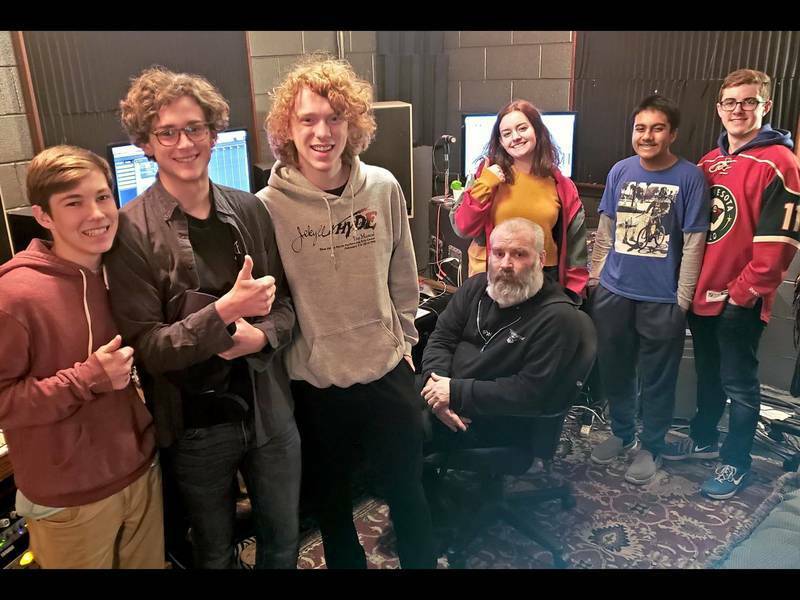 Fill out the bracket FOUND HERE or on our Facebook page and submit it to the front desk or by e-mail to info@musichouseschool.com by Friday, March 24. Winners of each round will be determined by Music House teacher and staff popular vote. We’ll be posting about each winning artist as the votes are tallied starting March 27. 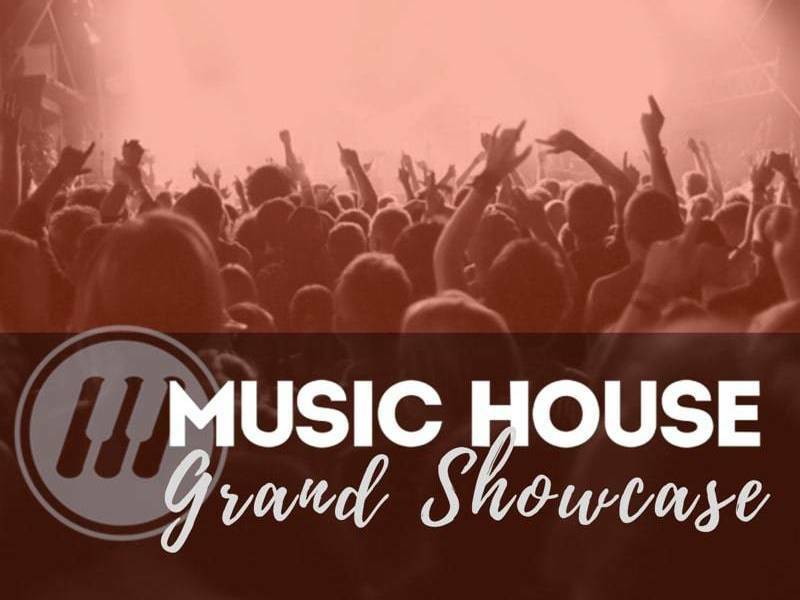 The winning bracket with the most points will be announced on our Facebook page on Friday, April 7 and will receive some great Music House swag. Good luck!